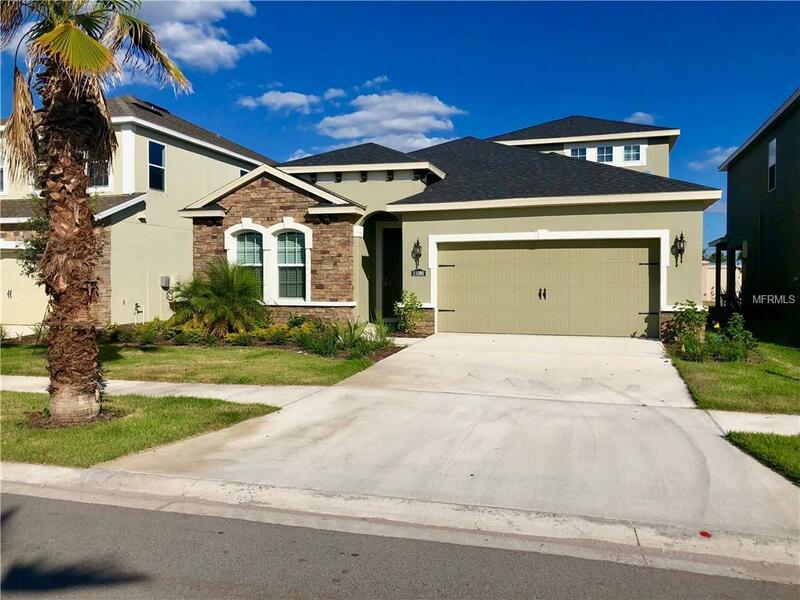 Welcome to this gorgeous brand new home in the highly desirable Lucaya Lake Club! Featuring: open concept floorplan, granite countertops, huge kitchen island, ceramic tile, recessed lighting, full indoor laundry room, screened-in patio, grassed backyard, 5 spacious bedrooms, 4 full bathrooms, and a two car garage. 3 of the 5 bedrooms have their own bath, and 2 share a jack-n-jill. One makes the perfect office with stylish French doors leading out into the hallway. The master bedroom includes a full walk-in closet and large private en-suite with dual vanities. Upstairs is a private bedroom with its own full bath. All brand new appliances included throughout. Relax in the back screened-in patio area by the grassed backyard, or walk to the huge private park directly across the street. Conveniently located right next to all the fantastic amenities Lucaya Lake Club has to offer including: an amazing 78 acre lake, private gym, gorgeous club house, outdoor recreation area, designer beach entry pool with a splash pad for the kids.